Nestled in the heart of historic downtown Fort Myers. The Veranda will take you away from the hustle & bustle of everyday life to a bygone era of Antebellum charm. The Veranda’s romantic setting in two turn-of-the-century homes, combined with our Southern Regional Cuisine, an extensive wine list, and first class service staff will provide you with the most unique dining experience in Southwest Florida. 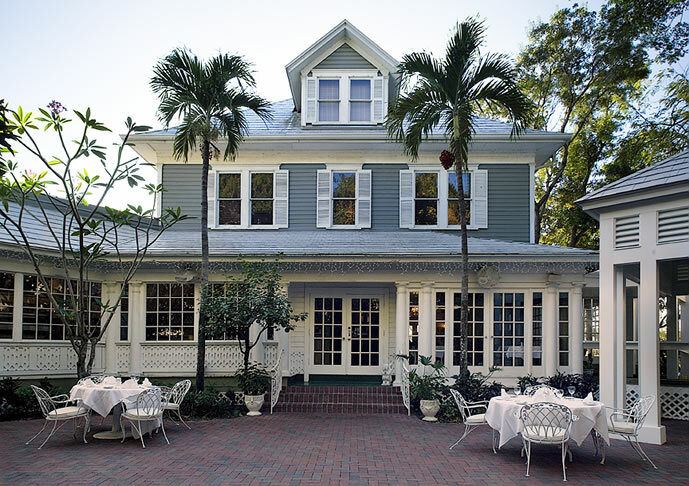 A Fort Myers tradition since 1978, The Veranda is consistently honored as one of the most award-winning restaurants in the area. and the charm that is the Veranda! Need a Private Dining Room for six? A Garden Courtyard Cocktail Reception for sixty? We can provide you with a wide variety of unique facilities for your upcoming events.